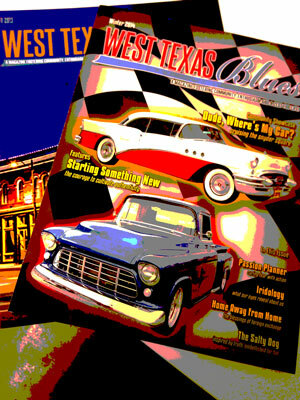 Home» Blues » Winter Edition of West Texas Blues is Here! The Winter edition of West Texas Blues Magazine is out. You can find a copy at a host of popular places throughout the West Texas area. In this issue you will find great opines from locals about living in West Texas, where to eat, great recipes, a great cruise in Snyder and Lisa Grissom shares in the feature article what all she has learned about starting something new through the eyes of a music festival producer. So grab a copy today!!! !